Despite the fact that supplying Russian-made S-300 surface-to-air missile systems to Iran does not violate any UN Security Council resolution, the US government expressed concern over the increase of Tehran’s military potential caused by this development. Ahmad Vakhshiteh, chief editor of Iranian analytical web portal RussiaViewer, told Sputnik that the sale of S-300 by Russia to Iran is a perfectly legal deal, and that the US has no right to interfere. He pointed out that while several years ago the shipment of these weapons was put on hold due to sanctions enforced via a UN resolution, the Iranian nuclear deal effectively helped resolve that issue. “The US interference in this issue is illegal. But why does the US protest so vehemently against these shipments? One should pay attention to the growing Saudi influence. Ever since Iran started purchasing these systems, the country’s aerial borders became better defended. So if some countries conflict with Iran – ideologically or geopolitically – or if they seek to destabilize the region to ensure their dominance, they don’t want such an influential state as Iran to improve its military might and increase its defense capabilities,” Vakhshiteh explained. “During the nuclear negotiations Iran performed commendably: it accepted all conditions, making notable concessions. The sanctions previously imposed against Iran were annulled. And as Iran honors its commitments, the West – namely, the United States – should also honor the commitments it made. But instead we see the exact opposite. Recently there was even talk of imposing sanctions against Russia for supplying S-300 to Iran,” he said. A Russian Mi-8 helicopter was shot down in northwestern Syria on Monday killing all five Russian servicemen on board. In an interview with Sputnik, Dr. Marcus Papadopoulos, Editor of Politics First Magazine, put the blame on an alliance of terrorist groups called the Army of Conquest and its suppliers. “Therefore, they are responsible for the downing of Russia’s Mi-8 helicopter, which was on a humanitarian mission in Syria, and for the death of all five Russian servicemen on board,” Marcus Papadopoulos continued. Dr. Papadopoulos said that the Army of Conquest formed at the beginning of 2015 and after its formation it scored a major battlefield victory when it captured Idlib city in the north of Syria and the rest of the province. “Its political and financial backers are Saudi Arabia and Turkey and even though Ankara may now be reconsidering its policy of supporting Islamist terrorist groups, Turkey is the major supporter of the Army of Conquest responsible for numerous atrocities in Aleppo with their artillery bombardment of civilians,” he noted. He said that when in 2013 Daesh started to make its move in Syria there was no condemnation from the American government. It was only toward the end of that year when Daesh reemerged in Iraq and started posing a direct threat to the Western-backed Iraqi government that the Americans finally acted. Prior to that, they were only too happy to see Daesh advancing in Syria, capturing Syrian territories and committing atrocities. “So there is no chance of the US listing the Army of Contest as a terrorist group,” Dr. Papadopoulos noted. The downing of the Russian helicopter came shortly after Daesh posted a video where it called for waging a jihad against Russia. When asked whether these two things could be connected somehow, Dr. Papadopoulos said that after Russia launched its antiterrorist campaign in Syria that actually turned the table in that conflict, it is now seen by Daesh, al-Nusra Front, the Army of Conquest and others as one of their main enemies.Answering a question about the terrorists disseminating video accounts of their atrocities, Dr. Panadopoulos said that such photos and videos must be banned and that there should be censorship. “This would deprive the terrorists of a very important channel of recruitment. We have to fight them on the battlefield and we should also beat them on social media by banning their pages on Facebook and preventing them from uploading their appalling photos and videos,” Dr. Marcus Papadopoulos emphasized. The downing of the Mi-8 has become the deadliest episode for the Russian military since it started bombing terrorist-held territories in Syria in September 2015. Today, military delegation of the Kingdom of Saudi Arabia has paid a working visit to Military Academy of Logistics named after Andrei Khrulyov. Distinguished guests had a look at training equipment of the educational establishment, and had a meeting with command staff of the Academy. Foreign military servicemen also get education in the Academy. Chief of the Military Academy Lieutenant General Vladimir Ivanovsky told the foreign partners about educational programmes and specializations for training foreign military servicemen. The delegation has also visited exposition complex of the Academy and the distinguished guests familiarized themselves with the history of the educational establishment, scientific developments, modern equipment and hardware samples. 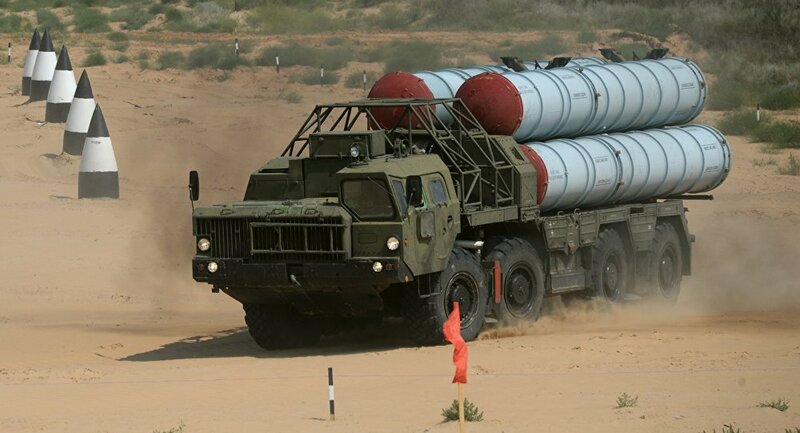 Russia delivery of S-300 air defense systems to Iran dispels Israel’s threat to attack the Islamic Republic; at the same time, it may increase tensions between Tehran and the countries of the anti-Iranian bloc, according to Turkish political analyst Hakan Gunes. In an interview with Sputnik, Turkish political analyst Hakan Gunes said that Israel’s threat to attack Iran becomes irrelevant in light of the delivery of Russia’s S-300 air defense systems to the Islamic Republic, which, however, may fuel further tensions between Tehran and the countries of the anti-Iranian bloc.Gunes specifically stressed that the S-300 deliveries added significantly to the strengthening of Iran’s defense capabilities. “Aggravating the situation around Russia’s S-300 shipments to Iran was first of all provoked by Israel and Saudi Arabia. The S-300 systems are defensive rather than offensive weaponry. They do not pose a threat to any state, and are designed to ensure the safety of a country’s airspace from a possible missile attack,” he said. According to him, the S-300 supplies to Iran alarmed Israel and Saudi Arabia, which have repeatedly threatened to launch a missile strike on the Islamic Republic. “Israel and Saudi Arabia have more than once made statements about a medium-range missile strike on Iran’s infrastructure. These statements became irrelevant now that Iran has received the S-300 systems,” Gunes said. He also pointed to contradictions in Washington’s relations with its allies in the region, including Israel, Turkey, Saudi Arabia and Qatar, something that have been in place in the past 18 months.Gunes suggested that these countries cannot wait to see US President Obama’s term end after the November elections in order to intensify their anti-Iranian activities. He predicted that the next few months may see further rapprochement between Turkey, Saudi Arabia and Israel. In case of a conflict with Iran, Turkey and Saudi Arabia are most likely to turn to the Israeli lobby in the US for support, according to him. “With an ever-increasing activity of the countries of the anti-Iranian bloc, confrontation between them and Iran could escalate after the November elections in the US,” Gunes said. The first batch of the S-300 surface-to-air missiles capable of downing jets was delivered to Iran on April 11, according to Russian Deputy Prime Minister Dmitry Rogozin. Russia and Iran signed a 900-million-dollar contract in 2007 amid opposition from Israel and the United States. The deal was suspended after the UN Security Council imposed sanctions on Iran in mid-2010.In April 2015, Russia resumed talks on S-300 deliveries following a framework agreement on a landmark pact that aimed to ensure the peaceful nature of Tehran’s nuclear program. Israel, in turn, criticized Russia’s decision to go ahead with arms deliveries to Iran, saying that it would allegedly further destabilize the region.